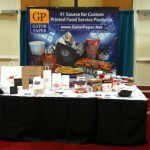 Gator Paper kicked off the summer by attending the Association of Luxury Suite Directors conference in Orlando, Florida! 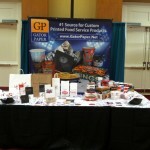 This year’s conference was held June 30-July 2 at the beautiful Hilton Hotel adjacent to the Orlando Convention Center. 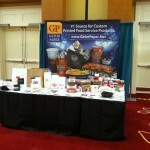 The 23rd Annual ALSD Conference and Tradeshow was attended by more than 700 premium seating professionals. With more than 70 exhibitors demonstrating new products and services being utilized in stadiums and arenas across the world, the trade show floor was the place to be! 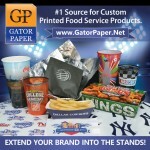 Gator Paper unveiled its newest line of custom printed food wraps, basket liners, napkins, cups, to-go boxes, paper food boats and food service bags to this year’s attendees, and received lots of positive feedback. 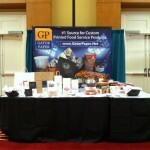 With low minimums and short lead times, Gator Paper made a great first IMPRESSION on the tradeshow floor!